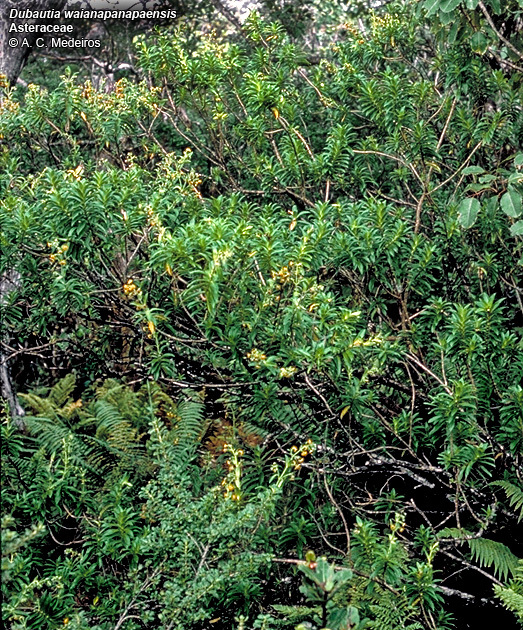 Large, usually somewhat diffuse shrub with opposite leaves. 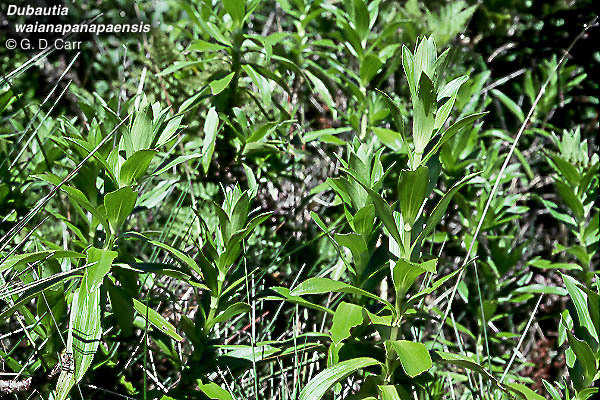 Diagnostic features of the species include mostly 5-9-nerved, opposite leaves and large heads with up to 30 florets. 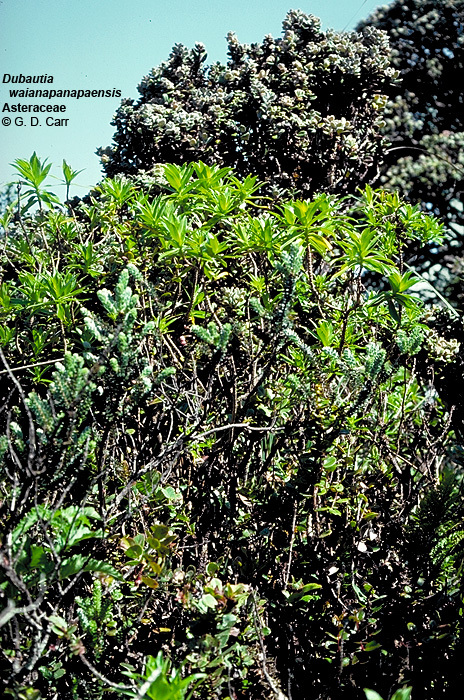 Flowering occurs mostly from mid-August to December. 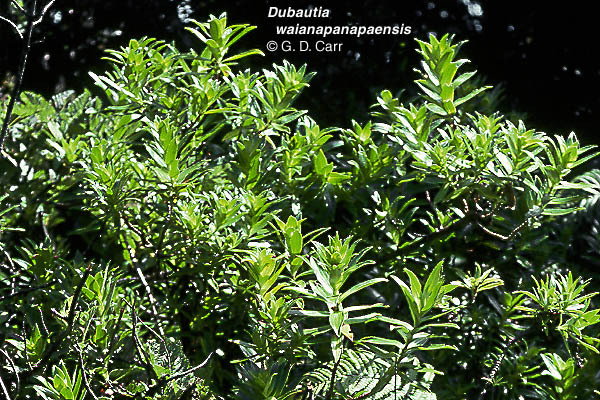 This species is found only on East Maui where it occupies wet forest habitats ranging in elevation from 1,525-2,275 m. The sites occupied by the species receive about 100-375 cm of annual precipitation. 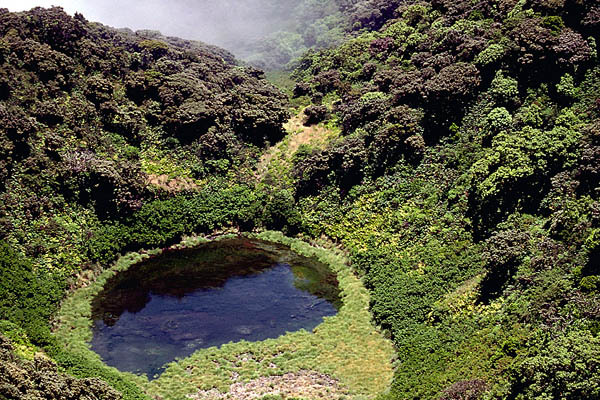 Lake Wai'anapanapa, E Maui, type locality of the species.